268 pages | 6 B/W Illus. Sheila Lintott is an Associate Professor of Philosophy at Bucknell University with research interests in feminist philosophy, philosophical aesthetics, and environmental philosophy. Her work appears in journals such as Hypatia, Environmental Ethics, and The British Journal of Aesthetics. 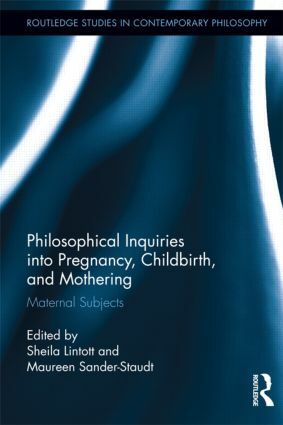 She also edited Motherhood: Philosophy for Everyone—The Birth of Wisdom (Blackwell). Maureen Sander-Staudt is an Assistant Professor of Philosophy at Arizona State University with academic expertise in feminist philosophy and literature. She has published in Hypatia, The Journal of Social Philosophy, and is the co-editor of Applying Care Ethics to Business, with Maurice Hamington (Springer Press).